This week I'm giving you a sneak peek inside of something that I LOVE to do with the people inside of my Transformation ReBoot community. 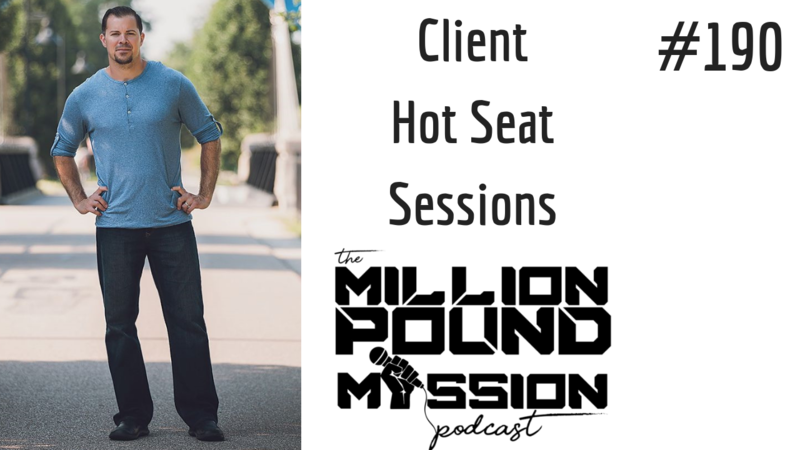 Once per month we do a round of Hot Seat video chats where we go one on one for 15 minutes and dive into whatever they want to ask me. It is AWESOME! Transitioning to a new job and the stress that comes with it. Frustrations with weight gain after losing over 150lbs. Getting re-focused and building momentum back up. If you get some value out of this episode please share it out on your favorite social media platform or just tell someone you know about it.